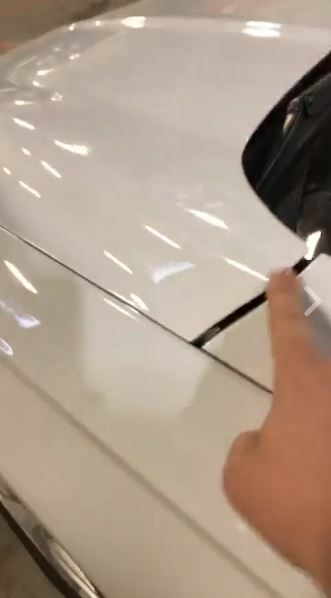 Irritated by Farmers’ insistence on aftermarket parts on a late-model Fusion, a Wichita, Kan., auto body shop decided to play ball — and film the results. 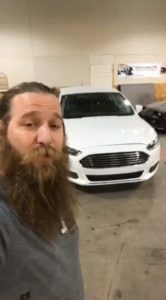 But he describes a customer’s 2016 Ford Fusion with only 20,000 miles and $16,000 left on the loan, which had been struck by another driver in the front of the car. “Farmers wants us to repair it the wrong way,” Hoberecht says. The insurer wrote for an aftermarket radiator support, hood, bumper, headlight, grille and fender, he said. Farmers did not respond to an email request for comment Friday. Normally, Best Body Shop would declare “‘OEM’s the only way to repair it,’” Hoebrecht says in the video — even though the profit margin on aftermarket parts can be “massively higher.” But this time, it decided, “’OK, we’ll build it your way,’” and give Farmers enough rope to hang itself. The imitation Fusion hood doesn’t fit and “won’t even latch to itself,” he says. Gaps around it are either too large or too tight, according to the video. The grille “won’t even clip into itself,” he says. After Hoebrecht proved the parts didn’t match the OEM originals in “quality, fitment and performance,” Farmers’ response was to provide a list of body shops “that would make this fit,” he says. “We are not willing to compromise our morals” and “bend the metal and make it fit,” Hoebrecht says. Though the carrier specified the parts and supplier in the first place, Farmers requested the shop take up the matter with the vendor, Hoebrecht says in the video. The customer remained out of a car for longer while insurer and vendor figure out “who grabs the turd in the pool,” he said Friday. Following the video’s release, Farmers agreed to OEM parts, Hoebrecht said in the interview. However, he said three or four insurers had still requested aftermarket parts since it aired. 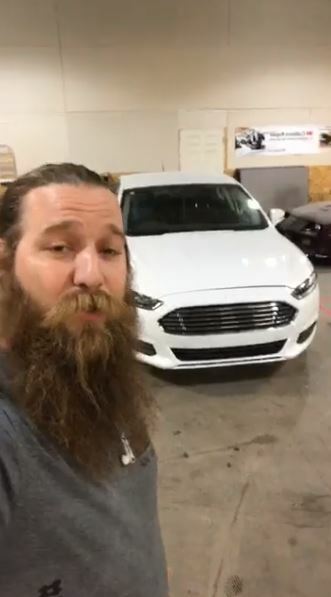 Hoebrecht said he made the video not as a dig against a particular aftermarket parts entity but more out of disgust for the current behavior in the insurance and collision repair industries — one overstepping their bounds into the repair process, the other all too willing to go along with it — which leaves an uninformed customer lost in the shuffle. “I’ve literally had insurance companies tell me … ‘Do not tell the customer'” the difference between the parts types. The repairer-insurer-customer system works fine if everyone sticks to their respective roles, Hoebrecht said. “When the boundaries are breached” — the insurer and body shop are too chummy, or the body shop and customer are in bed together — is when problems occur, he said. “I take the same ferocity” when customers suggest Best Body Shop play along with some kind of fraudulent story to the carrier, Hoebrecht said. Hoebrecht advocates educating a customer, bringing them into the loop, and leaving the decision process up to them, noting that he doesn’t even have to deal with insurers because the customer handles their own affairs. He cited an example of a Volkswagen Golf recently in his shop. The customer was concerned because the insurer was refusing to pay $130 of Best Body Shop’s charge. The insurer is in the reimbursement business, and “‘it’s called fraud'” if they don’t reimburse you, he said he explained to the customer. “’I will send them a final bill on your behalf,'” he said, and the insurer paid. Hoebrecht said he’s handled aftermarket parts a few different ways in the past, such as ordering both, comparing dimensions, and supplements. Now, Best Body Shop educates their customers. Hoebrecht suggested shop owners sit down and read out their estimates to customers “just like a doctor” so they’re informed about what’s being done on their vehicle. “There’s no reason why we can’t be doing this,” he said. At a high-end restaurant, you would expect the wait staff to explain a $130 steak, he said, so why wouldn’t you expect $7,800 worth of repairs to be explained to you? Random post-repair inspections are done to prove the shop complied with OEM repair procedures, he said. Fail an inspection, and a shop gets a $10,000 fine; three failures, and you’re off the OEM network, he said.